St. Marys Carbon Company is a quality manufacturer of carbon graphite, electrographite, resin bonded graphite and metal graphite products. The company was founded in 1939, with its headquarters in St. Marys, PA. The Carbon Products division has manufacturing facilities in St. Marys and Brookville, Pennsylvania. St. Marys carbon materials are used in the manufacturing of automotive and industrial brushes, electrical contacts, current collector shoes and a wide range of mechanical products. In addition, St. Marys Carbon supplies stock material to perform the final machining work. Andrew S. McCreath & Son Inc.
Andrew S. McCreath & Son Inc. is ISO 17025 accredited by the American Association of Laboratory Accreditation (A2LA) as a commercial chemical laboratory. Their business is the sampling and analysis of ores, ferro alloys, minerals, coal and coke. Andrew S. McCreath & Son Inc. has recognized the 2 major components needed from their laboratory as the accuracy of the results and how soon those results will be available. Both are given high priorites throughout their organization. They not only handle the chemical side of a material but also many physical tests such as sieve/ sizing analysis, and bulk density. A. S. McCreath & Son, Inc. traces its roots back to McCreath Laboratories, a company founded in 1877. A long history, intertwined with many famous names of the industrial revolution such as Andrew Carnegie and Thomas Edison, has given rise to the present company with an excellent reputation for inspection, sampling, sample preparation, and analytical chemistry with their main laboratory being located in Harrisburg, PA.
Red Valve Company is the world’s largest manufacturer and supplier of pinch valves and has become the preferred supplier for municipalities and industrial plants worldwide. Red Valve has global representative networks ready to solve tough control applications. They were founded in 1953 by Spiros G. Raftis in Pittsburgh, PA.
Red Valve's advanced elastomer technology is engineered into every Red Valve pinch valve, control valve, slurry knife gate valve, pressure sensor, Redflex© Expansion Joint and revolutionary all-rubber Tideflex© Check Valve. Heyl & Patterson Inc. was founded in 1887 in Pittsburgh, Pennsylvania. Their Bulk Transfer and Renneburg Divisions are industry leaders in the design and construction of world-class bulk transfer and thermal processing equipment for their customers in a wide range of industries, including chemical, steel, biomass, energy, ports, and mining & minerals. With an Aftermarket Division which supports markets with replacement parts, upgrades, retrofits and life extensions. In addition to their engineered products, which include their Rotary Dumper, C-Shaped Rotary (CR) Dumpers, Barge Unloaders, Train Positioners, Train Indexers, Hammermills, Processors and CUB Railcar Movers, Heyl & Patterson also offers consulting and field service support, as well as a pilot plant for the testing and development of ongoing innovations which their customers require. Vibra-Tech Engineers, Inc. began in 1949 as a partnership under the name of Vibration Engineering Company. Dr. L. Don Leet, one of the original founders, developed the first three-component portable seismograph used to measure blast vibration effects. The first notable use of this seismograph was in 1944 to measure the ground vibration effects of the first atomic test blast in New Mexico. The company itself was born in the anthracite coal regions of Pennsylvania, which at that time used more explosives than anywhere in the world. It began in response to the growing number of complaints about blasting vibrations from property owners near mining operations. Dr. Leet, who offered an impressive combination of academic credentials, knowledge of explosives, and communication skills, was joined by Robert L. Klotz, who assumed management of the company. The two men turned the fledgling company into one of the most technologically advanced authorities in protective services for both explosive users and the public. Its first office in Hazleton, Pennsylvania is still the corporate headquarters. In 1995, Vibra-Tech Engineers, Inc. and GeoSonics, Inc. formed an alliance specializing in seismograph manufacturing, vibration services, noise control and blasting seismology. They are well known in the seismic consulting and seismograph manufacturing industries. Their alliance gives their clients a combination of 98 years of in-the-field experience serving the mining, quarrying and construction industries. Logistics Plus was established in 1996 to manage domestic transportation for GE Transportation Systems, a world-class manufacturer of locomotives in Erie, Pa. Business grew to encompass import and export management and warehousing for GE, then for other clients worldwide. The company is an International transportation Management Company with offices in 8 countries. Total logistics/supply chain management including domestic trucking, expedited trucking, air and ocean freight, rail and intermodal freight and related services including letter of credit processing, packaging, warehousing, etc. Our 'Passion for Excellence' assures that each client is given a level of service which is unsurpassed anywhere in the industry. The leveraged buying power of a $ 250 million transportation buy gives Logistics Plus some of the best rates anywhere. Sunbeam Innovations, a Pennsylvania based company, was established to design, manufacture and distribute innovative solar products. Sunbeam Innovations recognized a demand for versatile, quality solar lighting and water purification products, which resulted in the development of the UrbanLite, SolarLite, VersaLite, AquaLite UFS Mini, and the AquaLite UFS 10k. They are currently developing several new products to be launched within the upcoming months. Sunbeam Innovations has a portable solar power supply which is used in mines. Since 1927 based in Edensburg, PA, CAB has been satisfying customers with high quality products and services. CAB will also custom design and manufacture hooks, hangers and metal products to your specifications. CAB hooks and hangers, cable rings and saddles and mine safety products are the way to go for the safe support of electrical cables, pipe, tubing, and all types of computer, sensor, communication and control wiring. A wide variety of designs and styles lets you choose the product best suited to your individual requirements. CAB products are manufactured to rigid standards of quality and performance and are used in the most demanding above and below ground applications. High quality spring steel and abrasion resistant high dielectric grade plastisol coatings are used to insure maximum strength and safety. McLanahan, was founded in 1835. They are a global supplier of processing equipment, systems and solutions, and offer a vast line of rugged products and reliable services. Under the leadership and direction of CEO Michael McLanahan, McLanahan now directly offers products and services that are expediently and efficiently handled by dedicated McLanahan personnel in strategic locations throughout the US, UK and Australia. With a legendary and long - standing reputation for excellence as a springboard, McLanahan is dedicated to a stronger and expanded global presence through five targeted points of entry: the US, Europe, Australia and the Pacific Rim; South America and Western/South Africa. Cleveland Brothers Equipment Co., Inc., was founded in 1937 when Bob and Roy Cleveland started a landscaping contracting company. The company evolved through the years working on numerous high profile jobs. In search of new opportunities, Bob and Roy took over the Caterpillar dealership in Central Pennsylvania. Cleveland Brothers Used Equipment and used Parts Departments sell and export used Caterpillar equipment and parts worldwide. Cleveland Brothers have been involved in the sales, exporting, and transportation of dozers up to D11 models, trucks as large as 785 models, excavators and front shovels, motor graders, and a variety of other Caterpillar equipment and used parts. 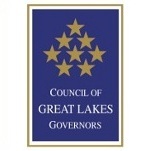 The mission of the shared trade offices is to offer responsive and comprehensive services to small and medium sized companies from the Great Lakes region seeking to expand product and service sales. Zurcom International (Pty) Limited an independent contractor that serves as the commercial representative office of the Council of Great Lakes Governors in southern Africa for the purpose of increasing the export of goods and services from the participating Great Lakes Southern Africa Trade Office Member States. The views expressed in this website are not necessarily the views of the Council of Great Lakes Governors, any of the participating Member States, or any companies that use the facilities of the Council to locate business partners in southern Africa and the Indian Ocean islands.